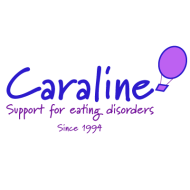 Caraline is an independent Luton based charity dedicated to helping and supporting people and their families whose lives are affected by an eating disorder. Our aim is to ensure that clients affected within Luton and Bedfordshire can easily access advice and Caraline offers support in a number of ways. We offer both individual and group formats where self support, peer support and group support is always encouraged. We provide a telephone helpline for clients, carers, health professionals and anyone else needing advice, and all calls are dealt with in a non judgemental and confidential manner. Our support groups are now held on a Monday evening. Please call us on 01582 457474 or look on our website at caraline.com for further details. We also offer assessments, one to one counselling sessions and a ten session CBT group for eating behaviours. If you wish to make a referral or receive advice please call us on 01582 457474 or email us at admin@caraline.com. Please note that unfortunately we have no on site client parking available, but there are plenty of town centre car parks available. Please call if you need further details. Fully funded for clients living with Luton and Bedfordshire. If outside this area there will be an hourly charge of £30 per session.